If you’ve booked your second holiday with us, you’re instantly part of our club, our free rewards membership, with access to an abundance of local offers and discounts to use during your stay in Suffolk, from restaurants and pubs to leisure activities and shopping experiences. Our self-catering cottages have the most stunning kitchens, fitted with the highest standards and equipped with only the best kitchenware. We’re certain that will find cooking breakfast, lunch and dinner a real pleasure. But if you’re feeling a bit lazy and the idea of eating out is just too tempting, as a member of the Best of Suffolk club, you can get your hands on offers and discounts of up to 15% OFF from the best pubs and restaurants in Suffolk. We’re all about keeping it local, so every offer and discount comes straight from the business owners themselves. All of which, are either our friends or locally celebrated businesses that we feel, from experience, will make your holiday in Suffolk even more enjoyable – when you visit them, a quick flash of your confirmation email or printed discount voucher, and our friends will know straight away who you are! We’re always bringing new offers and discounts to our club members, our team are all local and spend their weekends out and about in Suffolk, finding new and interesting places for our members. 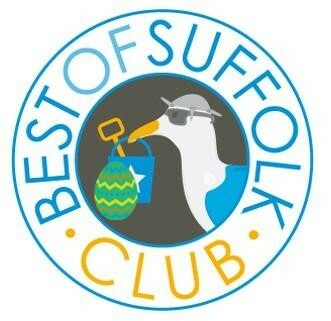 So, if you’re not already a member, start looking for your next break to Suffolk here and enjoy the benefits of being a member of the Best of Suffolk club. A quick flash of your confirmation email or printed discount voucher and our friends will know straight away who you are! If you're not already a member, start looking for your next break to Suffolk here.